Coben is a superb suspense writer. “Coben’s novels are not peepholes through which we voyeuristically watch the trainwreck lives of people who are alien to us: like Hitchcock’s most successful films, Harlan Coben’s novels are mirrors. We are ourselves in his characters, and so, perhaps we feel an even greater personal involvement with what is happening to them … ” from the appreciation by Robert Crais. Posted in Espionage / Suspense, Suspense, US Hardboiled. Tagged as Harlan Coben, Robert Crais. 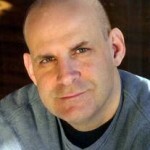 Harlan Coben is the first mystery writer to be awarded the Edgar, the Shamus and the Anthony Awards. 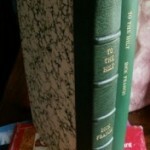 He began with a comic sports series, but with the stand-alone thriller Tell No One (2001) he has become a huge seller of compulsive page-turners often with regular people with a mix of character traits. Just One Look (2004) is a typical representation. Some critics rate it one of his best books, if not the best. First it grabs the reader’s attention with a prologue in which a killer who is about to be executed admits to an Assistant US Attorney that he killed his sister (not the crime for which he is being executed). Then it moves into the main story, when an ordinary middle-class wife and mother discovers a picture of what looks like her husband in a context in which she would not expect to find him. Then the confrontation and then the disappearance. It unfolded at pace and becomes devilishly complicated a tale with more twists than a corkscrew – each one capping the one before. 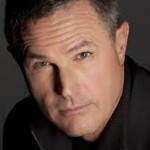 Master suspense writer Robert Crais is a huge fan of Coben’s talent and provides a superb appreciation. “Coben’s novels are not peepholes through which we voyeuristically watch the trainwreck lives of people who are alien to us: like Hitchcock’s most successful films, Harlan Coben’s novels are mirrors. We are ourselves in his characters, and so, perhaps we feel an even greater personal involvement with what is happening to them. It is this Hitchcock-like anchor in normality that separates Coben from many thriller writers today.” Robert Crais (from the appreciation). 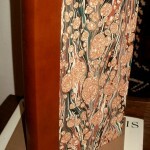 Published in an edition of 90 numbered and signed copies in 2004. “Suburban thriller from the prolific Coben (No Second Chance, 2002, etc. ), about a perfect husband who disappears when a photo from the past shows up in the latest batch from the photomat. Perfectly in love since their romantic meeting in France 15 years earlier, Jack and Grace Lawson are living the suburban dream: Windstar, Saab, daughter, son. He makes lots of money, she makes lots of art. There is a teeny flaw. Grace limps. It’s the scar she bears from the trauma she endured before the trip to France. There was this rock concert. Shots were fired. Panic. Deaths. Heroism. Cowardice. Badly mangled Grace made it out of a coma with a week or two of memory gone and a healthy dislike of big crowds. Suddenly the superperfect life she has built from the ruins has gone off the rails. Tucked in among a set of newly developed photos is a snap taken sometime in the ’80s. It shows a group of young people, possibly hip for the decade, and one of the lads, while hairier and callower, is clearly Jack. 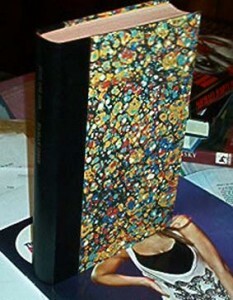 The insertion could only have been at the hands of the slacker in the Kodak kiosk, but he’s disappeared. And, upon viewing the photo, so has Jack, leaving Grace to ask that old reliable story-starting question: “Just who is this man I thought I knew?” Answers must be found quickly, for handsome Jack has been captured by a cold-blooded, sadistic, Korean killer and lies senseless in the boot of the stolen family minivan. Detective assistance comes from a rogue District Attorney, a wacky girlfriend, a lovelorn neighbour, a tough Jewish cop with a hole in his heart where his wife used to be, a shadowy, powerful mob guy whose son died at the rock concert, and possibly from Jimmy X, the rocker whose concert seems to have started the present subdivisional mayhem all those years ago.